ICP-OES is used for the determination of the concentration of specified elements within a solid or liquid sample. Primarily, our system is used for quantifying the concentration of heavy metals in Peat for research into historical deposition, and the impact that has as those areas are eroded and redistributed. Other key areas look at contemporary soils, water courses and even organic take up in trees of a whole range of metals and contaminants such as Sulphur. 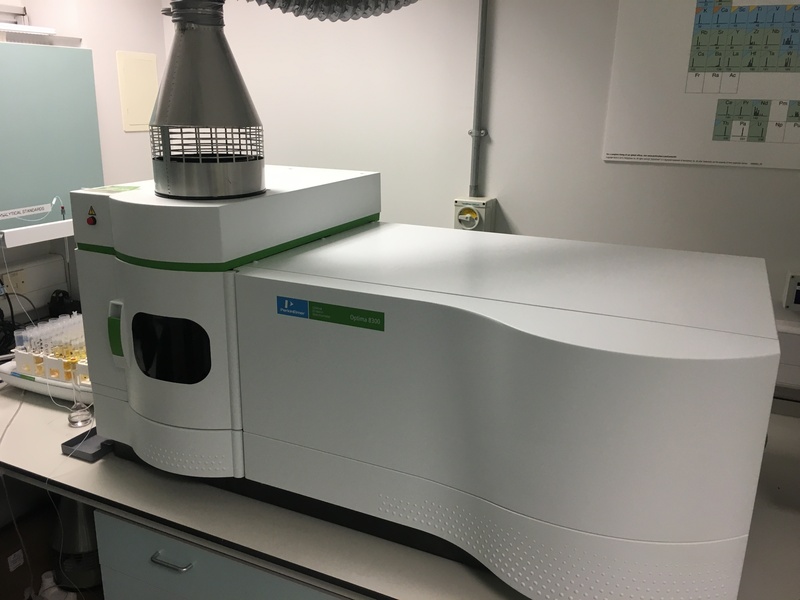 Our instrument is a fully simultaneous Perkin Elmer Optima 8300, with a 156 place Autosampler. For the preparation of samples we have a CEM MARS XPress Microwave digestion system.